Mike Hunter 2017 patch work apple sculpture. 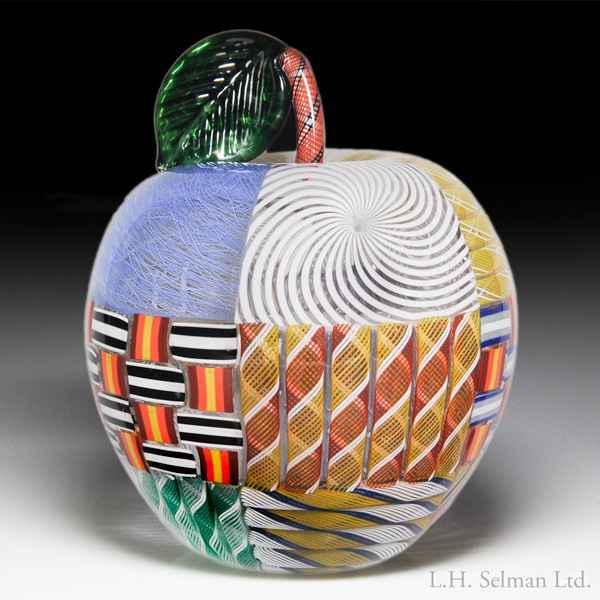 A hollow blown apple is patched with fifteen contrasting sections of canes arranged in patterns and designs that mesmerize. The apple is topped by a latticinio stem that sports a sculpted green leaf. Signed/dated. Diameter 4 1/4".